There is a car park adjacent to the building and access is via the drive between the Surgery and the pharmacy. Please approach with caution and be aware there is a 5 mile an hour speed limit as you enter the Surgery premises. Parking is limited but we do have some dedicated spaces for disabled drivers. The car park is often full and we ask that you not to leave your car here whilst shopping. NB: Please do not stop or park in the entrance drive to the Surgery, duty doctor space or ambulance space as this can interfere with emergency access. The Practice cannot take responsibility for loss of property or damage to your vehicle while on the premises. The Surgery has a No Smoking Policy and this extends to patients and visitors. It is against the law to smoke inside the building or directly outside the entrance. We would also ask you to consider others when smoking in the car park. Most patient facilities are located on the ground floor but we now have four clinic rooms on the first floor of the new building. 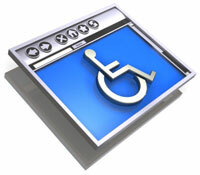 We try to ensure appropriate access to our services whatever a person's disability. A wheelchair is available for use on the premises by patients who have difficulty walking and there is a lift for access to the first floor rooms. If you require an assistance accessing the building please ask a member of staff. We can arrange for you to speak to an interpreter on the telephone and can book an appointment for you with a translator if needed. We also have a hearing loop installed and can arrange for someone to help with sign language. If you require any help please ask at Reception.